The Iron Oak Family bravely entered the Forever Portal, and found themselves on the Plane of Forever. A windless, temperature-less gray landscape where the horizon blended with the twilight light of a sunless and moonless sky. A small path marked their way from portal to portal, but as they traversed, they came upon another party. The other party was themselves, three years later. Add Aristotle, their Lizardman friend, and subtract Neara, the Blood Mage. The two parties quickly broke bread and discussed the future as well as the path. The Future party was circumspect, sharing few details of the future so as to not disturb the future. However, they did hand the current party a concussive grenade, a specialty of Aristotle. When the party accepted this gift, and promised to use it as instructed, suddenly, in the future party, Neara appeared. And many wounds of the party instantly disappeared. It was obvious that the future party had changed history somehow, on purpose. 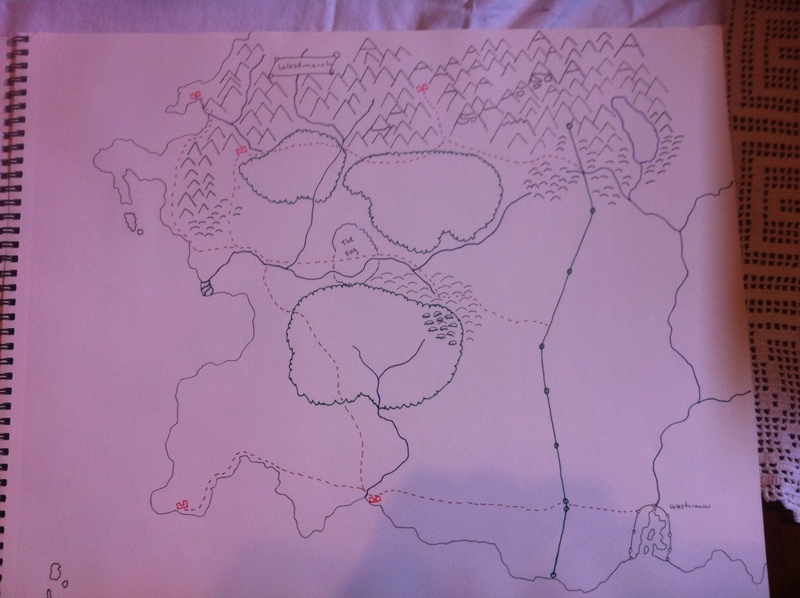 The party and the future party went their two different ways with a few additional vague warnings, and the current party arrived in the woods of the portal, where they passed through a struggle between Draconic and Orcs. Finally, the party came to the Silver River Gorge bridge, where they fought of a Blue Dragon. Unfortunately, the dragon managed to hit the Alchemical satchell pack rigged to explode the bridge. The satchell had been partly disassembled, so only a portion of the bridge was destroyed instead of the entire bridge. And now the party journeys on to Silverthorne, their destination for the last ten gaming sessions.